Lisa Larson for Gustavsberg, 1978. 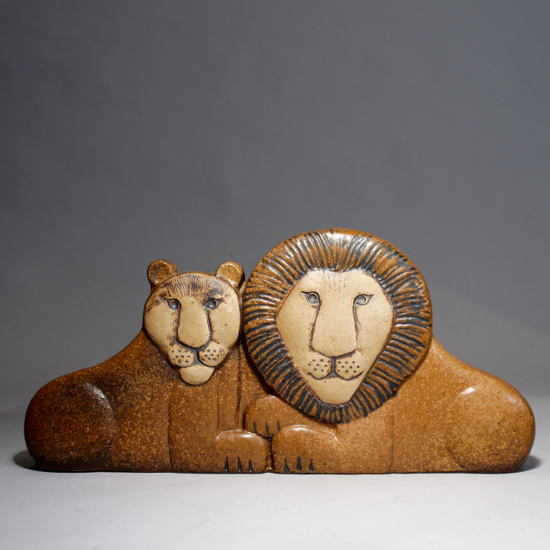 Lion couple (Noaks ark-serie). Lenght 43.5, height 20 cm.